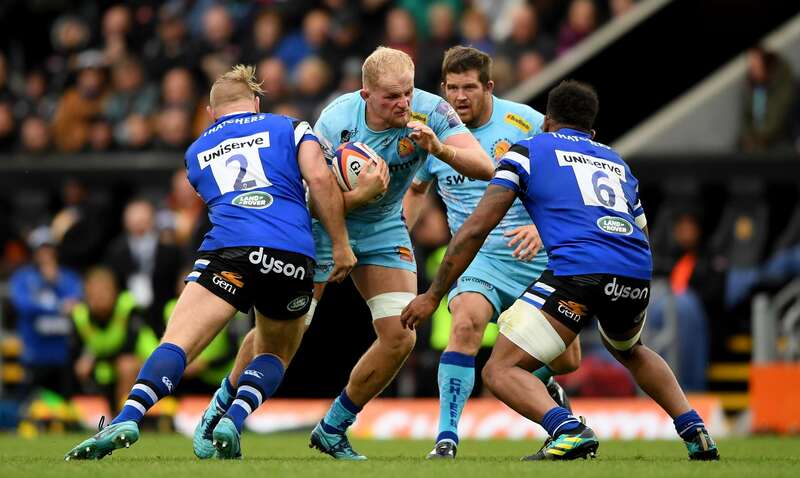 Ricky Pellow insists Exeter Chiefs can take plenty of positives from this year’s Premiership Rugby Cup campaign, despite the holders relinquishing their crown at the weekend. Having finished their Pool One fixtures unbeaten, courtesy of wins against Bath, Harlequins and Bristol Bears, plus a draw at Newcastle Falcons, it was the latter who advanced into the semi-finals. Newcastle’s 28-12 win at Sale Sharks on Sunday meant they edged out the Chiefs on points difference, ensuring they joined Northampton Saints, Worcester Warriors and Saracens in the last four. It means for the first time in five seasons the Chiefs will not be battling it out in the final two for honours. Skills coach Pellow, however, is proud of his side’s achievements and says the competition again has helped serve a real purpose for the Devon club. “Obviously, when the results came through at the weekend and we knew the end outcome, there was a real disappointment amongst the players and the coaches,” said Pellow. “Every year we talk about targeting every competition we play in and this year it’s been no different. If you look at how things have ended up, we’ve finished our pool unbeaten, picked up three very good wins, and just missed out in the end on points difference. At the start of the season Pellow had set his side the challenge of trying to become the first side to successfully defend their title – and they gave it a good shot with some notable displays along the way. “As I said, it’s frustrating that we’re not in that semi-final mix, given what we have done in the competition,” added Pellow. “However, we have to move on and as a group and as a squad, we now have to get ourselves in that right frame of mind to really attack this last part of the season. “Already we’ve talked a lot about learning certain lessons from not only what we’ve done in this Cup, but also in the Champions Cup, which we hope will then develop us and make us better and better moving forward.